"French presidential candidate Marine Le Pen, representing the once-ostracized National Front, met with influential bankers, corporate executives and government officials to get advice on the radical changes vowed by her campaign. Now the group is helping plan what she hopes will be her first 100 days in office." "National Front's goal is to move from a xenophobic protest movement founded by her father into a mainstream party espousing economic nationalism." "Polls suggest Ms. 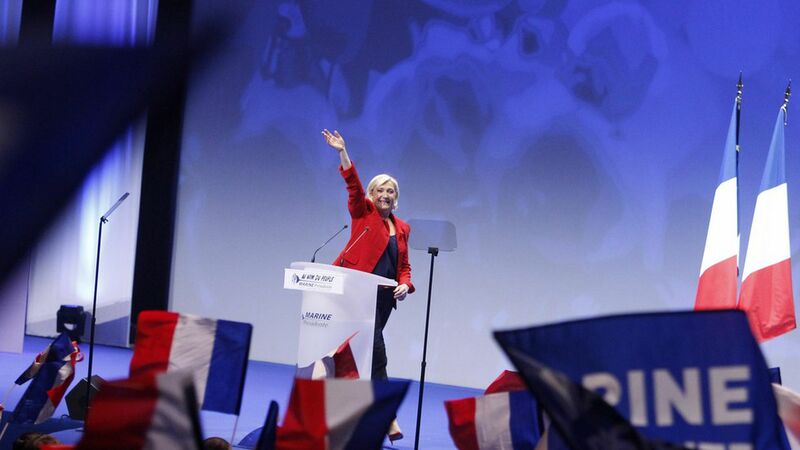 Le Pen will make it through the first round of voting April 23. Winning the second-round runoff [May 7] looks harder because supporters of candidates knocked out in the first round are likely to coalesce against her."